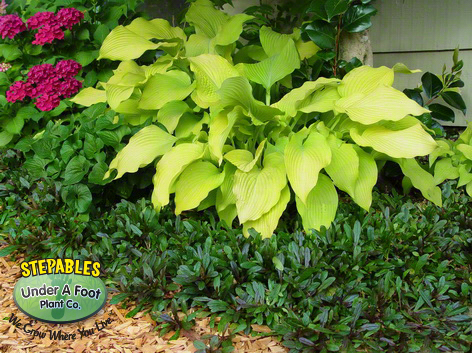 This Ajuga has small, chocolate chip-colored foliage and forms a beautiful ground-covering carpet on the ground. Blue flower spikes push in spring and autumn. 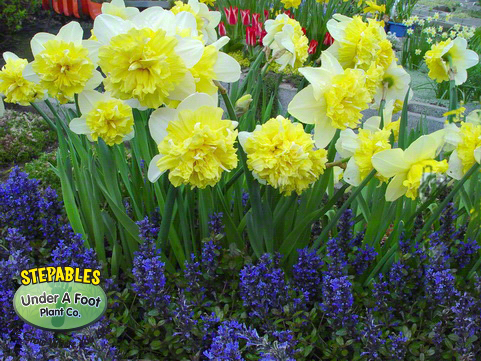 Plant this cute little STEPABLE over flower bulbs for additional spring color. 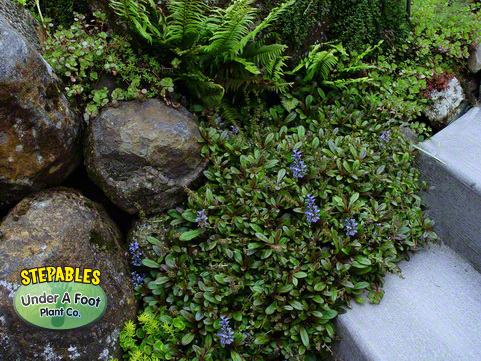 Great for beneath trees and shrubs where little else can grow. Perfect in between pavers and loves to be walked on! Chocolate Chip Ajuga is great for so many areas! 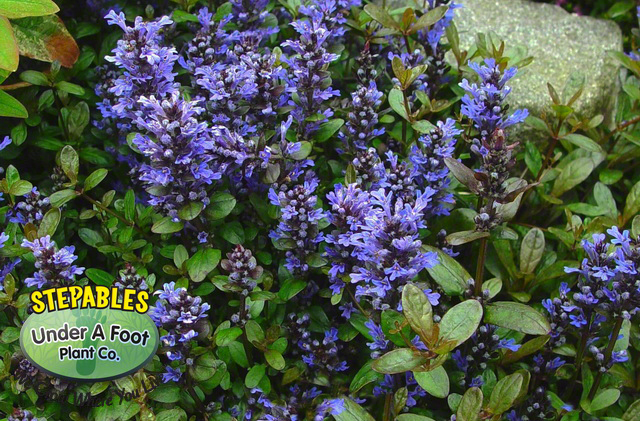 This Dwarf Bugleweed is great around pools, perfect for kid and dog foot traffic because it does not generally attract bees. If you are putting it in the direct line of traffic, you can remove the flowers spikes to make access easier. ~ Ajuga Chocolate Chip is an incredible crevice plant for part shade areas. If you have a retaining wall in the shade or part sun, or a little nook you need to tuck a plant, then Chocolate Chip will be perfect for you! Also...this plant can be quite drought tolerant with the correct conditions, but can also wither under drought conditions that linger too long. If you want to use this for drought conditions, please be aware that it is a bit "ify" for severe drought, but a drier location with intermittent watering may be just fine.